Plane features V4 engine with moving pistons connected with propeller and ailerons controled by stick in cockpit. 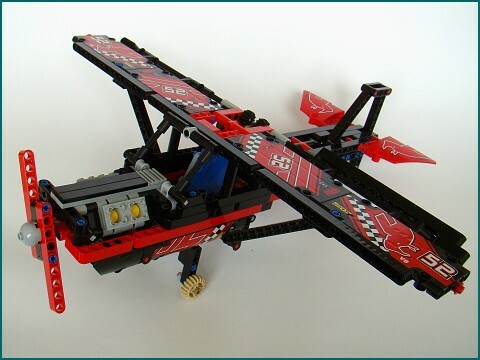 Warning: plane was originally built out of set 8041 so some parts in building instructions might have different color. 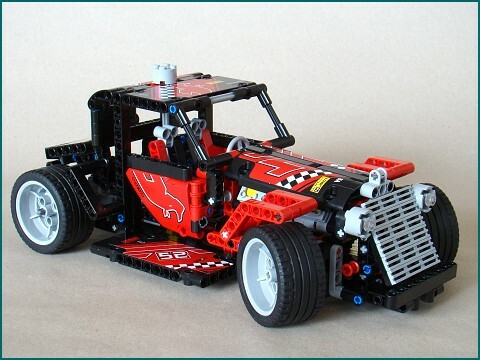 Hot rod features V8 engine with moving pistons, rear axle differential, front axle steering, openable doors, trunk and hood with support bar. Warning: hot rod was originally built out of set 8041 so some parts in building instructions might have different color. Formula features V8 engine with moving pistons, rear axle differential, front axle steering and adjustable rearview mirrors. 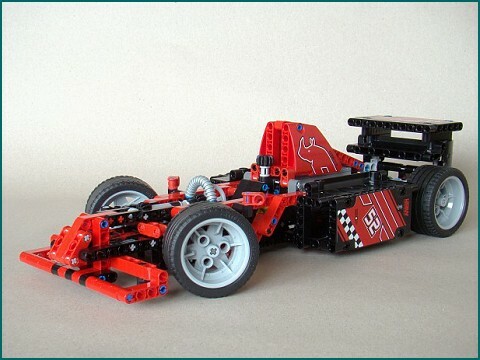 Warning: formula was originally built out of set 8041 so some parts in building instructions might have different color.